All Bangladeshi mobile operator’s GrameenPhone (GP), Banglalink, Robi, Airtel, Teletalk launched the emergency balance services for its Prepaid customers. With this service, user’s can communicate even when they run out of balance or when their balance becomes zero. The system (mobile operators) will credit the airtime on customer’s account. The borrowed airtime or talk time balance will be repaid the next time the customer recharges his account. Depending on mobile operator customers will receive 10tk to 100tk as emergency balance. Robi emergency / Jhotpot balance? All Robi user can get 5 or up to 100tk as an advanced. All GP prepaid user can be able to get up to 100tk as advanced balance. To activate: Dial *1010*1# to collect 5 BDT in your balance. Emergency Balance has a validity period of 30 Days. – You can use this balance for voice calls and SMS as well. – The customer can get the further emergency balance after paying the past due. Emergency balance for Airtel subscriber? 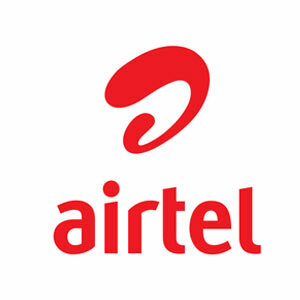 Now airtel user can get talk-time and internet emergency balance anytime, anywhere! Note: You may be charged extra on your next balance recharge. Emergency balance for Banglalink subscriber? Every Banglalink user can get 10tk as an emergency balance. But the priyojon & platinum user can get up to 100tk. Emergency Balance for Teletalk subscriber? Or Send SMS 50 to get 50 Taka, 30 to get 30 Taka, 20 to get 20 Taka or 10 to get 10 Taka to 1122. Check the Emergency Balance status by dialing *1122# or SMS STATUS to 1122. 5% Supplementary Duty (SD), 15 % VAT on tariff will be applicable. Customers of all subscribers can only avail further emergency balance after paying the due or used amount in full. It’s really helpful to post. Thank you very much for sharing this article it was really helpful for me i was searching for this.